Did you know that the air inside your home is often up to 100 times more polluted than even the most contaminated outdoor air? This means, that every day, your family is breathing in numerous toxins that most of us are unaware even existed. Im sure you are unaware that; mold, asbestos, ozone, VOCs, carbon monoxide, formaldehyde, pet dander, radon and pesticides are just some of the particles found in your indoor air. This sounds scary doesnt it? I didnt even know what half of these things were, and to hear that they are found in the air in my home that I breathe as I sleep, eat and lounge around, I suddenly was dreading going home. And I even thought about reporting my own home as a safety hazard. This indoor air quality problem is becoming very serious throughout America because most people are unaware of how this could be affecting your daily quality of life and even your quality of life in the long run. This is such a big deal that The U.S. 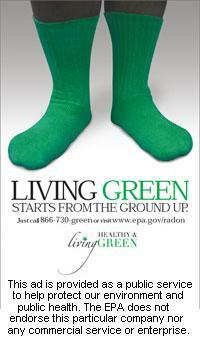 Surgeon General issued a Call to Action in June of 2009 to generate healthy indoor air quality in the home. I wasnt too surprised how serious the U.S. Surgeon General is handling this issue after finding out that these various indoor air contaminants are the cause and triggers of 50% of human illnesses and diseases; such as allergies, flu, colds, and asthma. I dont blame you if you are itching to stop reading to grab the nearest bleach bottle and fan, but there are way more effective solutions. First of all, your home should be a smoke-free environment. Thats an easy one, even cutting down on smoking inside your home, or even just stepping outside before you light-up will drastically increase the indoor air quality of your home. The second recommendation is to become aware and active in preventing carbon monoxide poisoning inside your home. Carbon monoxide can be avoided so easily, by just having any gas burning appliances in or around your home checked on yearly and repaired if they arent running properly. Also having carbon monoxide detectors in your home is important. These are two simple and more commonly known ways to improve your indoor air quality. Now to the important and most thorough solution to this indoor air quality mess; ventilation and filtration. Makes sense right? If the air is bad, bring in good air, and make sure its good air before it comes anywhere inside your home. According to the California Environmental Protection Agency, adults spend more than 60% of each day in their home, breathing polluted air. Most new homes feature mechanical systems that bring outdoor air into the home using all energy efficiency equipment. There are many types and sizes of air cleaners available and all are so worth it, and has been the best solution to improving the air inside houses with various levels of pollutants. Who can put a price on the health and safety of your family? Right? Well that goes to a certain point. Of course you want the best for your family, but it is hard to determine on your own what the best is. Until just recently I had no idea the air inside my home is the main cause of my childs allergies, ast hma and sicknesses. Now that I know this, I want the best, but researching the best is the key. You should first test the air inside your home, find out just how bad it is. Call a qualified indoor air quality technician, they have these nifty little devices that measure all indoor contaminates. By having the air in your home tested, you can then determine the best plan that is specific to your home and familys needs. Since this is a national call to action there are so many resources out there to help you make your home a healthy environment. I would recommend contacting a local Indoor Air Quality specialist to help you find a plan that works best for you and your family.